On a recent Spring evening, the mayor and government of the township of Sekigahara welcomed over 150 guests, including ambassadors and staff from 20 different embassies, to an outstanding presentation on the Battle of Sekigahara. The battle itself was recently included amongst the world’s most significant battles, alongside the battles of Gettysburg and Waterloo, as well as the battlefield itself and the township of Sekigahara being recognized as sister battlefields and sister cities, respectively. 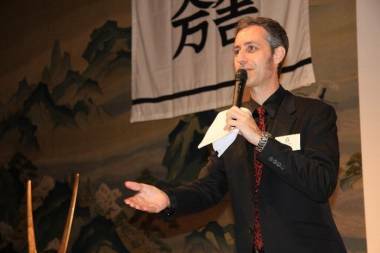 The host for the evening was Chris Glenn, radio DJ, TV presenter, MC, copywriter and columnist, Japanese historian and author of The Battle of Sekigahara (read his write-up for Metropolis on the battle here). The setting was the beautiful and historic Meji Kinenkan building in Tokyo. 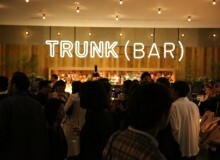 After guests enjoyed an introductory cocktail hour, the house lights went down as dramatic Taiko drums sounded. 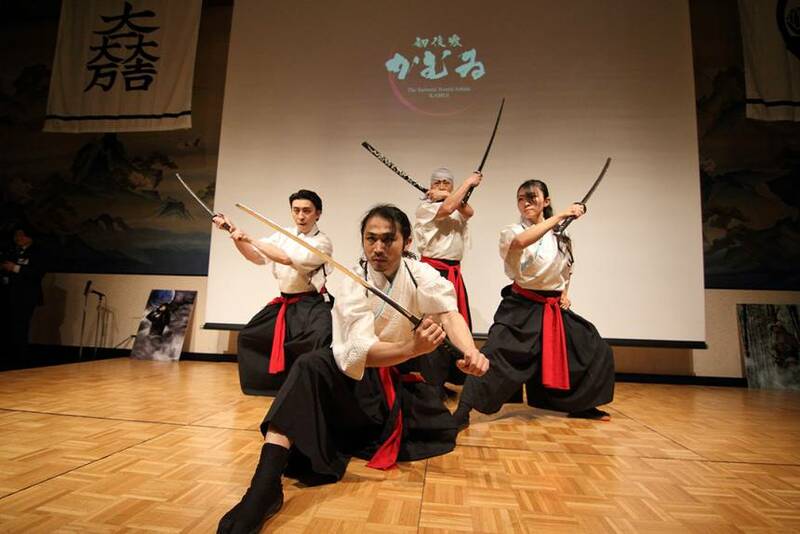 The sword performance group, Kamui, led by Shimaguchi Tetsuro – who choreographed and acted in the fight scenes in Kill Bill – opened the event with a short but breath-taking performance. Following a welcoming speech and toast by the Mayor of Sekigahara, guests were then walked through the twists and turns of the battle, as well as the events leading up to it and its historic significance for modern Japan, by Mr. Glenn. An intermission saw the food layed out. A dizzying assortment was highlighted by three characteristic dishes representing the battles of Sekigahara (miso rice balls), Gettysburg (apple pie), and Waterloo (Belgian-style french fries). Following intermission, Sengoku Photo Studio Samurai welcomed two volunteers from the audience to put on full sets of samurai armor, specifically replicas of those worn by Tokugawa Ieyasu and Ishida Mitsunari, the two primary actors in the battle of Sekigahara. They were then led off to be photographed for a special surprise video shown at the end of the evening. Kamui then returned to the stage, this time to get a couple of volunteers involved in the action, before putting on a mind blowing performance with swords and spears twirling thrillingly near the audience. Finally, following a second intermission, guests were treated to a video composed of CGI-rendered images featuring the two volunteers from earlier. The photos were stunningly dynamic and it was hard to believe they were accomplished in such a short amount of time. 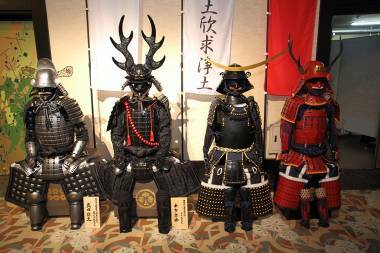 Throughout the night, replicas of armor were also available from Sengoku Photo Studio SAMURAI for guests to try on and be photographed in. 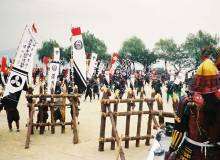 The town of Sekigahara also had informative displays about the battle and the town set up along one side of the room, while flags decorated by the actual crests of the samurai and clans who participated in the battle adorned the opposite wall. The atmosphere and presentations from the night were truly incredible. 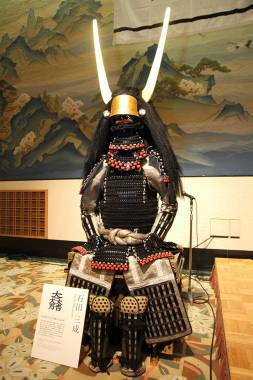 Those interested in visiting Sekigahara, or learning more about Samurai Night’s presenters can view more at the links below.